UCLA Dining rarely has excess food because they use a food tracking program to estimate the amount of food they need to purchase. There is excess food when there are large student events or during winter break. 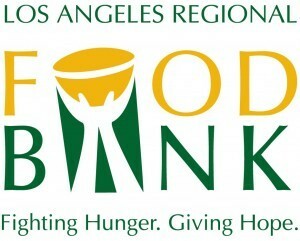 On these occasions, Dining Services donates leftover produce, prepared food, eggs, milk, and extra unopened products to LA Mission and Los Angeles Food Bank. In December 2014, Dining Services donated over 2,100 pounds of food and 122.5 cases. In September 2014, Dining Services donated over 1,300 pounds and more than 2,200 turkey wraps, cookies, and sliders that were left over from the 2014 New Student Welcome BBQ. In September 2013, Dining Services donated 386 pounds of food left over from the New Student Welcome BBQ that would otherwise be composted. In December 2012, 8,200 pounds of leftover produce were donated as part of the Winter Break shut down.